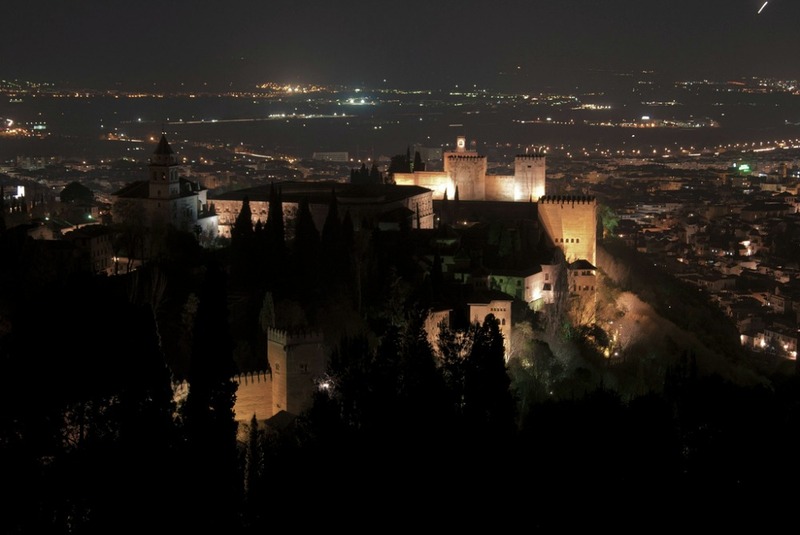 After steeping yourself by day in Granada’s history and culture, or whatever, there is a lot of fun to be had in the city by night and, if you know where to look, well into the next day as well. As you would expect of any major Spanish city the nightlife is late, great and pretty much whatever you want it to be. What are you looking for? The Spanish are on a very different timetable to the Brits when it comes to socialising, and life in general, so if you really want to see how it’s done you will have to stay out late and expect a bit of a shock to the body clock. This is never more true than in the summer months when the nightlife only hots when the baked city streets have started to cool. Kitchen’s don’t really open until 20.00. But after that you will find plenty of bars and restaurants from which to launch yourself into a night out. Here are just a few suggestions to get you started. No list of Granada’s finest would be complete without the inclusion of this friendly little delicatessen and bar. As well as providing a great selection of high quality organic food and wine from around the province they also offer wine and olive oil tastings. Open from 09.00-midnight every day of the year except Christmas day. Another typical Spanish tapas experience which is a favourite with the locals. If you are a seafood fan this is the place for you. Look out for pescaíto frito (fried fish), gambas (king-sized prawns) and their freshly prepared paella. Traditional but not old-fashioned. Go there for a good selection of local and regional wines with excellent recommendations from the barman. Specialities include Lomo a la sal (salted pork), salmorejo (traditional Andalucían soup of tomatoes, bread, oil, garlic and vinegar), and paletilla ibérica (cured ham). 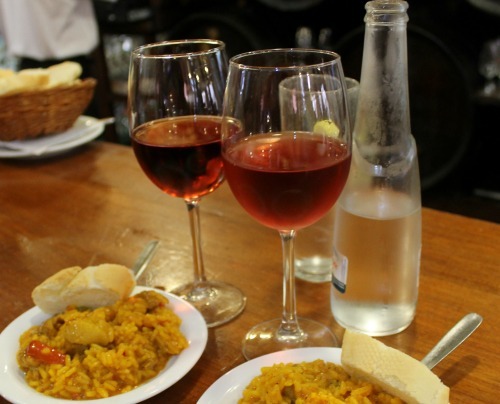 Traditional Spanish bar just off Gran Vía and Calle Elvira offering good wines and free tapas. Standing room only unless you want to order from the menu. Try their meat or cheese platters. Situated at the foot of the Albayzín with views of the Alhambra, this is a great place to start a night out. The staff are friendly and the tapas generous. Try the patatas asadas and crepes caseros. Truthfully, for the uninitiated, it is quite hard to find that holy grail: an ‘authentic’ experience of Flamenco in Granada. The best nights, as we all know, are so often the ones that we didn’t plan down to the last detail. And the best Flamenco, by its very nature, occurs spontaneously in some smokey bar down some narrow alley that you stumbled upon… but not everybody has the time for this kind of discovery. So, after research, there seem to be two routes for the visitor to take. The first is to pre-book your ‘experience’ and be transported up to a Sacromonte bar, such as Venta El Gallo, La Buleria, Los Tarantos or La Canastera, where you are assured to see a show with food and drink included. You may be paying slightly over the odds and you may be experiencing the ‘for export’ version, but the important point here is that you will get to see some Flamenco. Not only that, Sacromonte is well worth the visit. 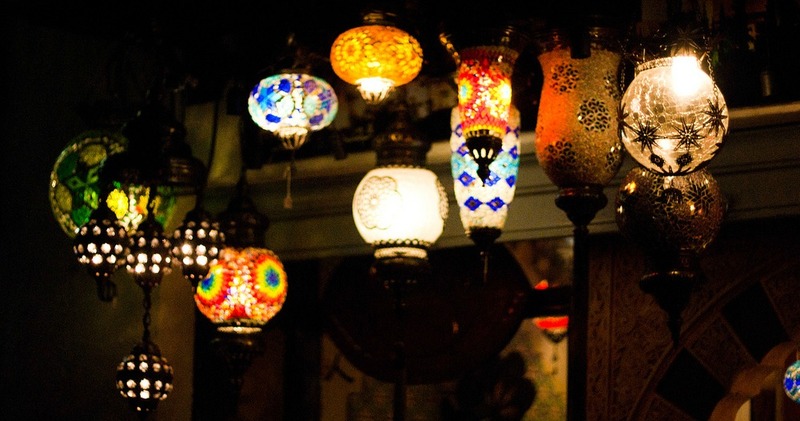 The other route is to take your chances and go in search of an authentic club peña. 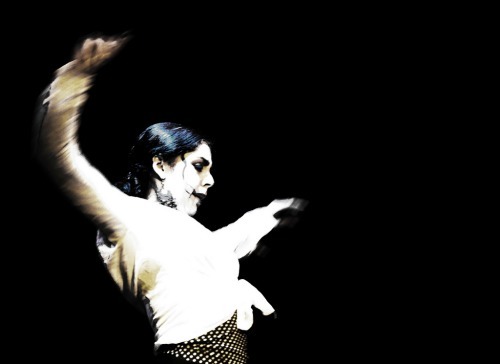 Here are just a few recommendations for finding flamenco in Granada. Click here for a detailed programme of performances in the city. Jardines de Zoraya is one of Granada’s most popular venues for flamenco with some of the Spain’s most loved artists performing there. It’s a child friendly restaurant and pizzeria in the heart of the Albayzín with an early show at 18.30 and second performance at 21.00. This is one of the best shows in Granada so it’s wise to book in advance.You can buy tickets for Flamenco and dinner at Jardines de Zoraya here. La Platería is the original members club for aficionados of flamenco in Spain. Located in the Alzayzín, this well-respected establishment has launched many flamenco careers. Performances start at 10.30 on Thursdays and Saturdays. However, Saturday nights are for members only. This intimate flamenco and jazz club is a favourite venue for locals and it is the place where artists from the now closed Huerto del Loro now perform. During the day they offer guitar and singing lessons and show art exhibitions. Entrance is €6 and shows start at 21.30. Another atmospheric little place to experience some flamenco. Entrance is €6 and shows start at 21.30. If you want to stay out all night or at least well into la madrugada the early hours, then you won’t be disappointed in Granada. Whether you are looking for an all night dance floor or a cool local haunt with live music there is something for everyone this fantastic city. 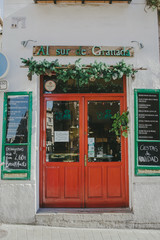 Here is a selection of places for your to consider but if you would really like an insiders account of La Grana’ino vida nocturna check out this post from Josh Taylor, one of our contributors, on the GranadaSpain Blog. 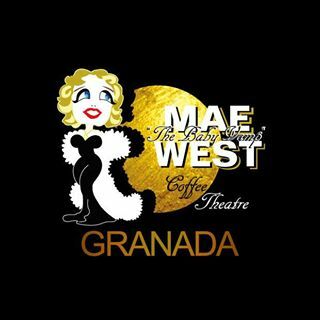 If you like to get dressed up then Mae West could be the place for you. This is a large busy club where they play commercial pop, dance and Spanish music. The drinks prices are a little above average but entrance before 2am is only €10 which also includes two drinks. More details can be found on the website here. If you are looking for something slightly more grown-up you might prefer Afrodisia which is open until 03.00. This is a popular after work hang-out so, for a friendly, casual atmosphere, with mix of reggae, funk, and hip-hop, this place is hard to beat. Tuesday night is hip-hop night and Reggae on Wednesdays. Check the website for more details. As you fall out of Afrodesia you could fall into the Booga Club which is open seven nights a week until 07.00 in the morning. This is a groove dance club which hosts international DJs playing Hip Hop, soul, funk, electro, Chicago house, Jazz and reggae. 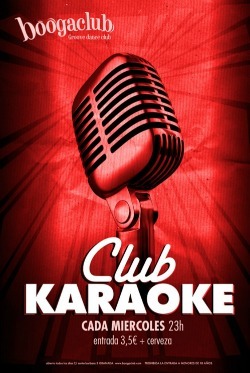 Check the website to find out when you can catch karaoke nights (Wednesdays), jam sessions and live music. Entrance is often free on Sunday and Monday evenings otherwise a cover charge varies from €3.50 to €7 according to what’s on that night and it generally includes your first drink. Open 22.00-03.00 seven days a week Pato Palo is a small bar where they play salsa and reggae and a great place to have a dance before moving on to one of the later clubs. The place doesn’t really start to fill-up until after midnight and opening is extended until 04.00 on Friday and Saturday nights. It can get very crowded leading up to closing time. A longstanding fixture on the Granada scene this bar will be celebrating its 30th in March 2014. Entrance is free. Unlike Sitges, Madrid, Barcelona or Ibiza, Granada is not listed as one of Europe’s gay hotspots but you won’t be disappointed by the city’s growing gay scene, or the straight scene for that matter, which is open and welcoming. The Blue Angel is one of Granada’s most popular gay bars. A great place for cruising it attracts a young crowd (mainly men) and has a dance floor downstairs as well as an active darkroom. Small progressive gay and lesbian dance bar playing soul, funk and techno. Presents regular drag shows. Straight friendly. Open 7 days in the summer 19:00-03:00/04:00. Al pie de la Vela – Calle Carrera del Darro, 35 CLOSED? Just across from El Rincón de San Pedro, this trendy bar attracts an upmarket younger purely gay crowd – mainly professionals in their mid 20s to mid 30s. Look out for the rainbow coloured venetian blind and the two panthers above the door. After 25 years in business this intimate establishment is the longest established gay bar in Granada. 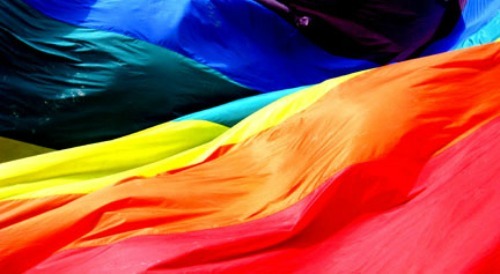 Plays house and dance music for a mixed crowd: lesbians, young gays and straight friendly. Tic Tac is open to all but attracts mostly men of all ages. A popular place for coffee during the day, at night it’s a hook up spot and is one of the few places in Granada with a dark room. This is a good spot for bears on the prowl. Ambient XXL attracts gay men only and also has a dark room. Colourful mainstream gay and lesbian bar with dance floor. Head for this straight-friendly gay disco after the regular bars have closed. For a little bit of late-night seediness and some good house music this is the place to be at 03.00. This is a lively gay bar that attracts a mixed crowd and is known for its great drag shows. They put on themed parties every other Thursday. Vogue is a gay-friendly dance club. The crowd is more mixed at the weekends when the gay locals might tend to head for the more strictly-gay bars. Click here to print voucher for free entry up to 03.30. Gay disco dance club with mixed clientele that will take you into the next morning.